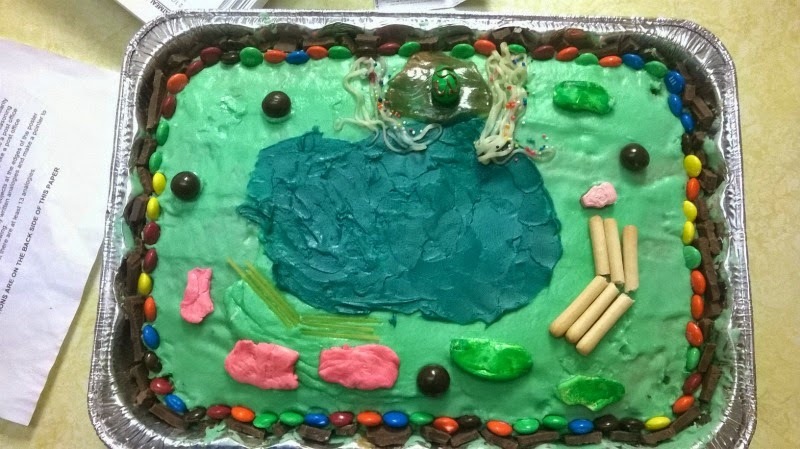 A few weeks back, the sophomores had to do projects on either a plant or an animal cell. There were a variety of options as to how the project could turn out, but my kids decided they wanted to do edible projects. I had forgotten the agony and creativity and wonder of school projects, but I had a BLAST working with Etien and Aleyna, and we all laughed so hard by the end of the night. Etien ventured out on making a pizza! 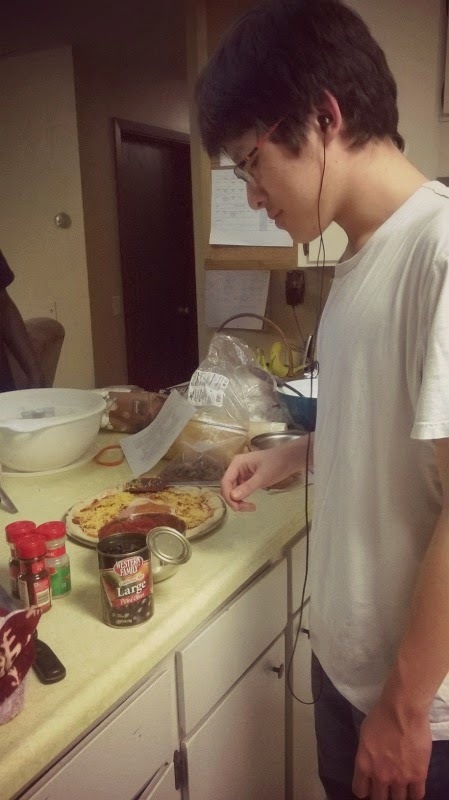 He loves cooking and hopes to pursue that further someday. It was so much fun to work with him and try to think of fourteen plus items we could put on a pizza . . . not an easy task. 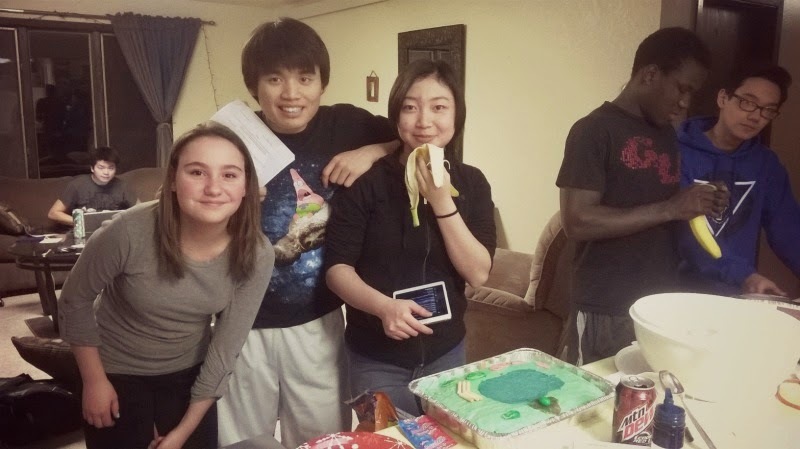 Normally during study hours, the gathering rooms are closed to members of the opposite gender, but with Etien using my kitchen for "homework," we had several guys come wondering through the room, and while they're full fledge turkeys, I have such a blast with them and these girls in ordinary, unplanned moments like those when we laugh so hard and just enjoy figuring life out together. and Chen being all stalker-ish on the couch. 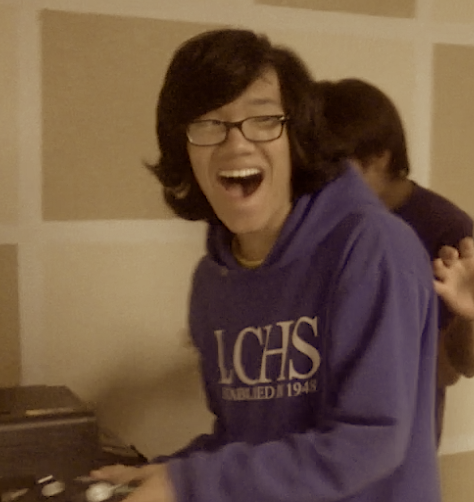 As for other very important news, Nevin's birthday was last Tuesday! It was special to get to celebrate him and all he is to us! Nevin, happy, happy birthday to you! I am so grateful Jesus brought you to this dorm and into our lives. I still remember you coming into the kitchen, asking if I was feeling "some type of way." I was confused until I later heard you jamming to the "clean" version of that horrible song! :P I'm pretty sure those four lines were your favorite part of the song anyways. :) Nonetheless, I'll always associate those four lines with your quirky, fun-loving, friendly personality. You are driven, intelligent, and caring, and I can't wait to see where you go in life. These verses are for you, Nevin. Praying this over your life, that someday, you will be a declarer of His Light, of His healing, even as you seek to mimic the greatest Healer there is or ever will be. I believe in you! May this year be the best one yet. Jesus is worth everything. I promise.